Snom is proud of its success over many years, especially through its resellers who recommend and support Snom products worldwide. The new global Snom Partner Program rewards this commitment and builds a lasting relationship. 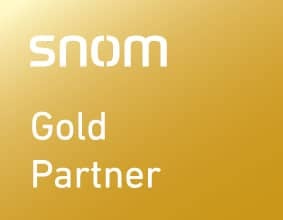 Silver and Gold Partners benefit from exceptional discounts** on Snom products, access to marketing materials, various training sessions and direct contact with Snom. This gives partners everything they need to grow and pass on know-how to customers. Take advantage of the highly acclaimed Snom VoIP telephony products and become a Snom Partner. Once registered, you will be able to use all of the portal's helpful features and access Snom discounts and downloads depending on partner level. 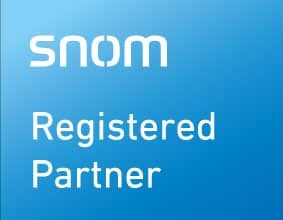 The Snom Partner Program dashboard provides you with all important information about your partner account, submissions, discounts, and current partner status. Fixed discounts on every Snom product purchased from special distributors**. * The required annual turnover is determined for each country. *** The Snom SCE training takes place over two days and is charged to the partner. 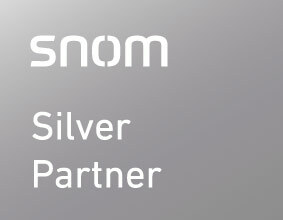 Partners are invited to the next Snom training session. **** Only one phone per partner/company can be requested.